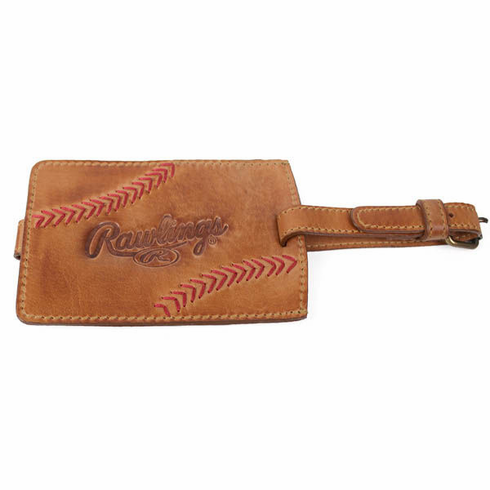 Vintage Tan Leather Baseball Stitch Luggage Tag by Rawlings. Hand rubbed burnished calfskin in soft rich glove tan with red baseball seam stitch accents. Embossed Rawlings logo. Privacy flap is snap secured.